Have a great Thanksgiving, alumni! We're kicking off this holiday week with all you need to know from your University. Congratulations to Lisa Rosen-Metsch '90GS! Columbia President Lee C. Bollinger '71LAW named the alumna the new dean of General Studies. “My years at Columbia as a General Studies student were transformative and extraordinary," she told Columbia News this week. "I'm proud to be a General Studies alumna, and as someone who started my higher education at Columbia, the potential to expand my role in navigating Columbia's future by returning to the School that gave me so much is humbling, exciting, and inspiring." Five Law alumni and students earned top honors in a New York State environmental law writing competition. 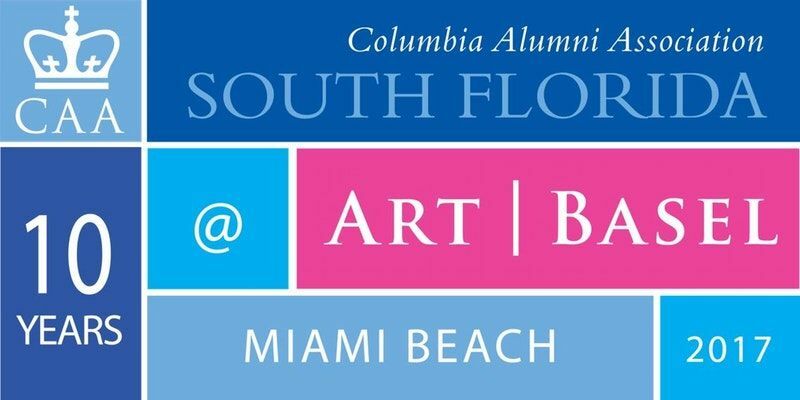 On December 9, alumni will have a presence at Art Basel in Miami Beach for the 10th year running! Learn more about the event and get your ticket—link includes a $10 promo code for use through November 22. Winifred Edgerton Merrill was the first woman to receive a degree from Columbia University, opening the door for women to gain admission to Columbia's Graduate and Professional Schools at a time when co-education for women was under heavy debate. Ahead of this February's first Columbia University women's conference, The Low Down explored Merrill's inspiring story. Congratulations to the nearly two dozen alumni, students, and staff who made the 2018 Forbes "30 Under 30" list. See who made the list.